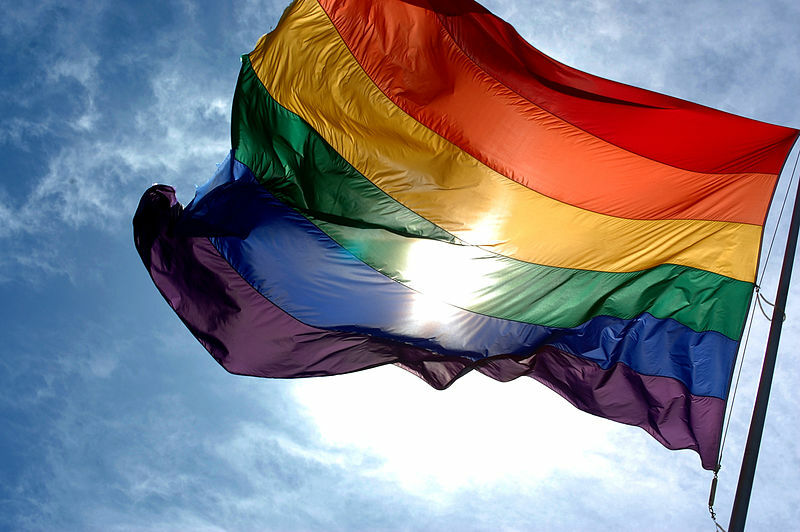 Last week, South Africa quietly announced that it will not table a resolution on Lesbian Gay Bisexual and Transgender rights at the United Nations Human Rights Council’s 23rd Session. There had been significant expectation from states and civil society that the resolution would be discussed at the session, which is currently taking place in Geneva. The announcement is disappointing and demonstrates a step backwards in the fight for universal protection and promotion of sexual orientation and gender identity rights. At present, we can only speculate about the reasons for South Africa’s decision, although a brief exploration of the history and politics over recent years will lead us to make some educated guesses. The majority of states across the world do not recognise sexual orientation and gender rights. Positive steps taken towards equal marriage in France, some US states and the UK are drowned out by the criminalisation of homosexual acts across almost all African and Islamic countries. In those and other areas, there remains systematic oppression of, and discrimination against, sexual and gender minorities. Those violations are based on a person’s acts, identities, or both. Many of those states are the ones seeking to ensure that LGBT rights are not recognised as human rights. The UN Human Rights Council is a politicised body. Dominant regional groups and political blocs use their collective weight to promote common objectives. The Organisation of Islamic Cooperation (OIC) clearly aims to ensure that sexual orientation and gender identity rights are not enshrined in international human rights law. The African Group, with a few notable exceptions, takes a similar stance. Events over the past decade demonstrate those states’ insistence that LGBT persons remain an unprotected minority group. In 2003, Brazil sought to advance LGBT rights by tabling a resolution at the UN Commission on Human Rights. The OIC used various tactics to ensure that the resolution was deferred. Two years later, New Zealand’s statement in favour of sexual orientation rights was supported by 32 countries. In 2006, the Special Rapporteur on Extrajudicial, Summary and Arbitrary Killings highlighted persecution of LGBT persons. The Commission did nothing. The great expectation that the Council would overcome the Commission’s failings has not materialised. This is as true of LGBT rights as it is of Israel’s treatment at the body and the failure to address China and Russia’s violations in Tibet and Chechnya respectively. It took 5 years and 17 sessions before the Council passed a resolution on sexual orientation and human rights. Resolution 17/19 was a seminal moment, heralded as a milestone both for the Council and for LGBT rights. But the resolution was an anomaly enabled by the OIC’s internal rifts at that moment in time. Resolution 17/19 was passed during the Arab Spring uprisings. The OIC was experiencing internal divisions based on ongoing national conflicts. South Africa, who tabled the resolution, faced significant opposition from many of its regional neighbours in the African Group. The strength of that opposition, and the bravery of South Africa, Mauritius, Zambia and Burkina Faso in voting for the resolution, ought not to be underestimated. But, it is crucial to understand that OIC members were conspicuously absent from the negotiating process. Discussions at the body, which are made public through a live webcast, were the first time that OIC states registered their disapproval. By then, it was too late for them to block the resolution. In March 2012, a Panel on Sexual Orientation took place at the Council. This resulted from Resolution 17/19. The OIC by then was almost fully reunified. That bloc walked out of the Council chamber en masse at the beginning of the discussions. Islamic states were reported to say that the panel had ‘nothing to do with fundamental human rights’. OIC members registered their ‘concern’ and ‘opposition’ to ‘controversial notions like sexual orientation and gender identity’. The decision to walk out seemingly was designed to undermine the panel’s legitimacy. The OIC again exercised collective strength to ensure that LGBT rights could not be advanced at the Council. Momentum for a new resolution at the Council has been building over recent months. Regional and global conferences have been held on sexual orientation and gender identity rights. They were scheduled in advance of the Council’s 23rd session in order to provide the body with information and recommendations. LGBT rights clearly are human rights. LGBT persons clearly belong to a minority that needs protecting. The Oslo Conference provided strong evidence of the need to protect LGBT persons from systematic and continued human rights abuses. It concluded that these issues need mainstreaming in the international human rights system; that states require technical assistance; and that the best way to achieve those aims would be by creating a Special Procedures mandate on sexual orientation and gender identity. The momentum may well have been this resolution’s downfall. As the calls for new and stronger international human rights law have increased, so too has the OIC and the African Group’s resolve to block any such developments. South Africa’s volte face is not only disappointing but also indicates a growing momentum against LGBT rights. It seems that, once again and despite some countries’ best efforts, we are moving backwards. Are you blogging from Geneva or at a distance, Rosa? And did you follow the regional and Oslo processes closely? If you were part of the extensive civil society conversations over this year’s resolution, you’ll be aware that the value and focus of a resolution are very much in debate and that the Oslo meeting did NOT conclude that “the best way to achieve those aims would be by creating a Special Procedures mandate on sexual orientation and gender identity”. Rather than blame Africans and Muslims, as we so easily do, it is in fact geopolitical challenges in building consensus or actual disagreements over the best way forward at the Council that prompted South Africa to duck.